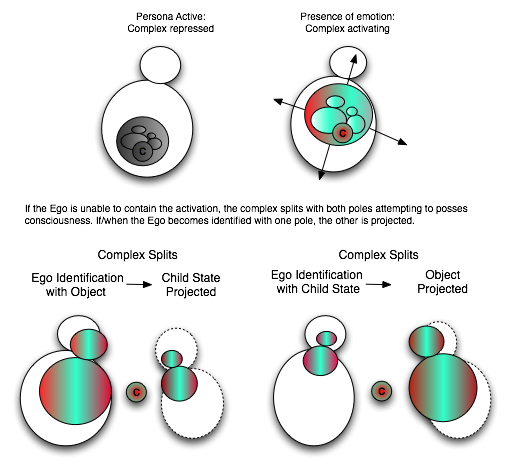 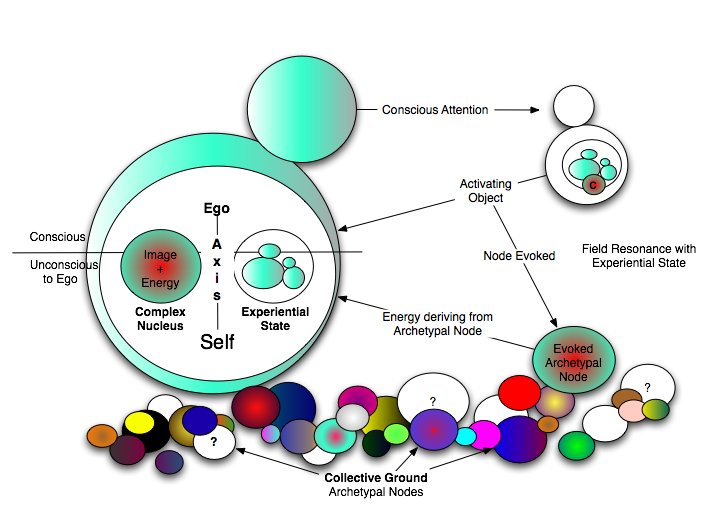 The self-other internal representation graphic components are introduced with the Action Disorder, Developmental Considerations, and Experiential State plates and accompanying essays. 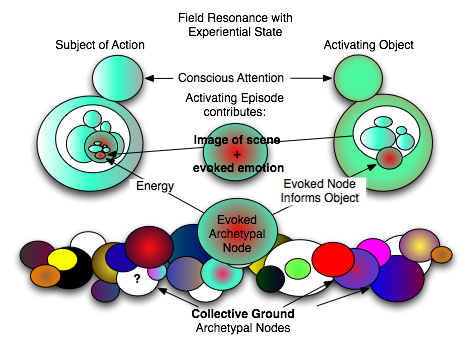 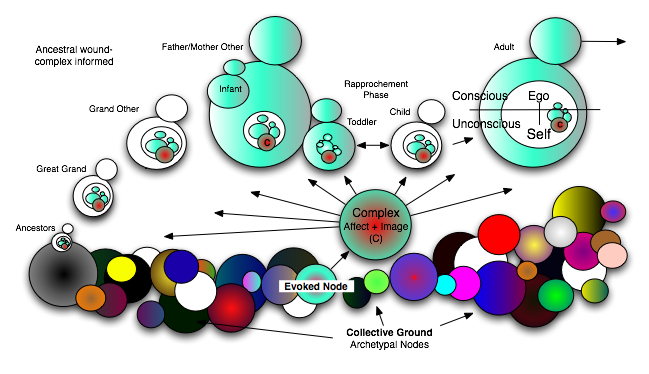 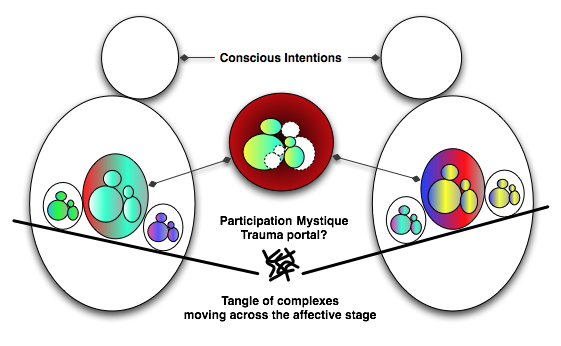 From the “scene remembered” composite image of the Experiential State, to symbolizing a specific unbearable not-fully-conscious-to-ego episode in the Ego-Self Axis Separation-Reunion and Trauma plate, this image is at the center of the system. 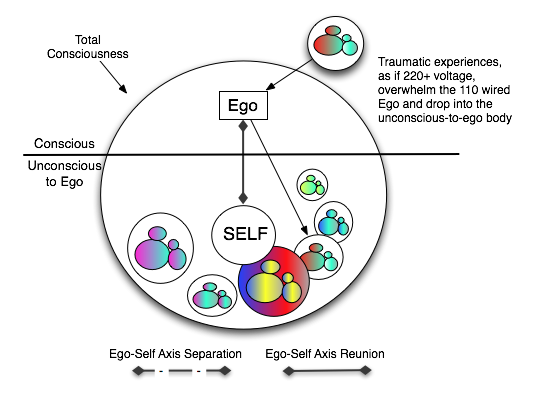 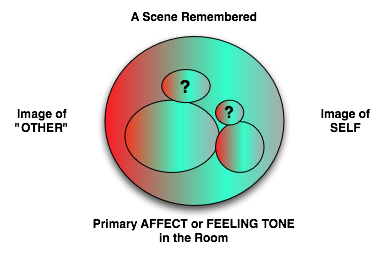 As a generic bi-polar pair, this image invites trying on all the combinations: self-other, ego-Self, complex nucleus, two complexes acting as one, ego in relationship to anima/animus, self in relationship to nature, the participation mystique in the moment, and more.